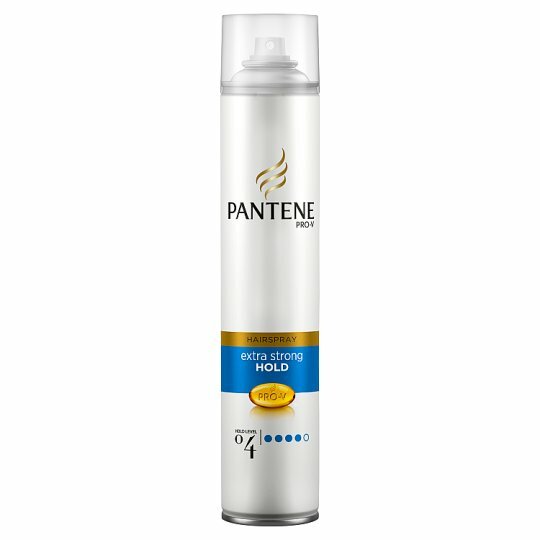 Pantene Pro-V Extra Strong Hold hairspray, with an extra boost of polymers and an extra-strong hold level 4, gives shine to your hair and keeps your style looking great all day long, even in high humidity. Danger: Extremely flammable aerosol. Pressurized container: May burst if heated. Keep away from heat, hot surfaces, sparks, open flames and other ignition sources. No smoking. Do not spray on an open flame or other ignition source. Do not pierce or burn, even after use. Protect from sunlight. Do not expose to temperatures exceeding 50°C/122°F. Keep out of reach of children. Do not inhale intentionally. Do not spray into the eyes. Use exclusively for intended purpose. The can must be completely empty before disposal.